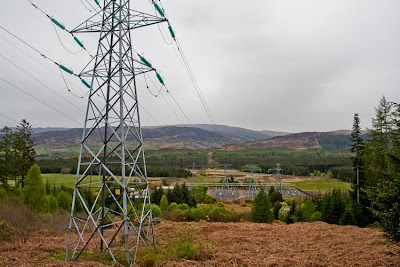 The Scottish Government has given the go ahead for the line of giant pylons through the Scottish Highlands from Beauly to Denny. 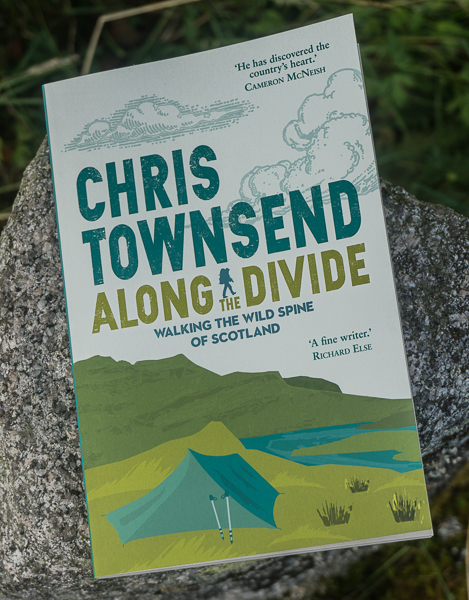 These pylons – ranging from 42 to 65 metres high – will run through the western side of the Cairngorms National Park and other areas of landscape beauty and importance and be visible from many mountains. Whilst this act of vandalism was expected it is still a big disappointment as it means the despoliation of the Highlands and the start of a period of mass industrialisation as the line only makes sense if many wind turbines are built in the wilds. 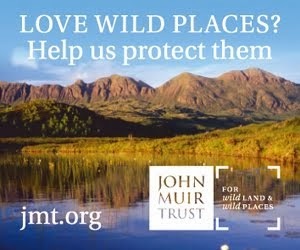 This evil scheme means the Highlands will never be as wild or beautiful as they are now. 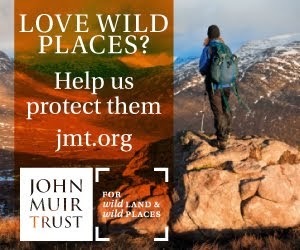 The Scottish government should be ashamed of this attack on their own land as should the former environmentalists such as Friends of the Earth and the Green Party who have welcomed this destruction, showing that they are now the allies of big business and industry and enemies of nature and conservation. It is a sad day for Scotland. Photo info: the current power line near the Great Glen. As you say Chris, not unexpected, but very sad. I fear for what the landscape will look like a decade from now. I'm angry that a Scottish government can do this to its own land, but i shouldn't be surprised about anything politicians do. As for some of the so called environmentalists like the Greens and Friends of the Earth, they have shown their true colours. I'm afraid of what this decision means for the future of the Highlands. An appalling decision - 'evil' is exactly the word. For all their posturing, many of the spokespersons for so-called environmental groups have an understanding of the issues barely comparable with that of a sixth-form debating society. Unfortunately the national media will be too busy dealing with the latest round of celebrity weight gain/loss to give this story the impartial extended coverage it merits. Most of this decision making takes place in the background as far as the majority of people are concerned. Perhaps a serious and informative multi-part documentary series explaining exactly what stands to be gained and lost would be a better way of spending the licence fee than ... well, there's so much to choose from. Hardly surprising coming from a government that fell over themselves to overturn the decision of a local planning meeting that decided to preserve a site of special scientific interest ... in favour of a golf course and housing development. It is worth noting that the winds have been light or nonexistent during the recent cold spell. This illustrates the folly of over-reliance on wind; it has been dark and very cold, consequently electricity consumption will have been high. This electricity would have to come from non-renewable fuel sources no matter how many windmills and pylons we build - we need reliable backup for such times of low wind and high demand. What we need are politicians strong enough to commit to building new nuclear power stations. This is the only viable way to reduce carbon emissions AND guarantee adequate energy supplies. Fully share the devastation at the news. One small point re Chris' comment on FOE: it's actually no wonder at all that FOE and other NGO's like the RSPB should support wind farms. They get most of their money now from the Government and the EU rather than from individual donations. Given that EU, Westminster and Holyrood can't have enough wind farms built, it's perfectly clear why organisations that get so much funding from them are supporting the destruction of the Scottish Hills. They are simply putting their mouth where their money is coming from. Before we start getting upset, we need to bear in mind how many conventional power stations have closed due to their being replaced by wind power stations, and how many more will close in future as more wind farms are built. Only when we can appreciate how much of a reduction there will be in greenhouse gas emissions as a result of such conventional power station closures will we realise the true benefit of the Beauty-Denny power line and the wind farms it will serve. Okay, having considered that - the answer is likely to be "nil" in both equations – you're more than entitled to get VERY upset. I wholeheartedly agree, Chris, evil is the word. As one who lives close to, and had my daily walk above the River Irvine Valley, spoiled by the massive Whitelees windfarm, I find this decision by an SNP led government incredulous! Is nothing sacred?